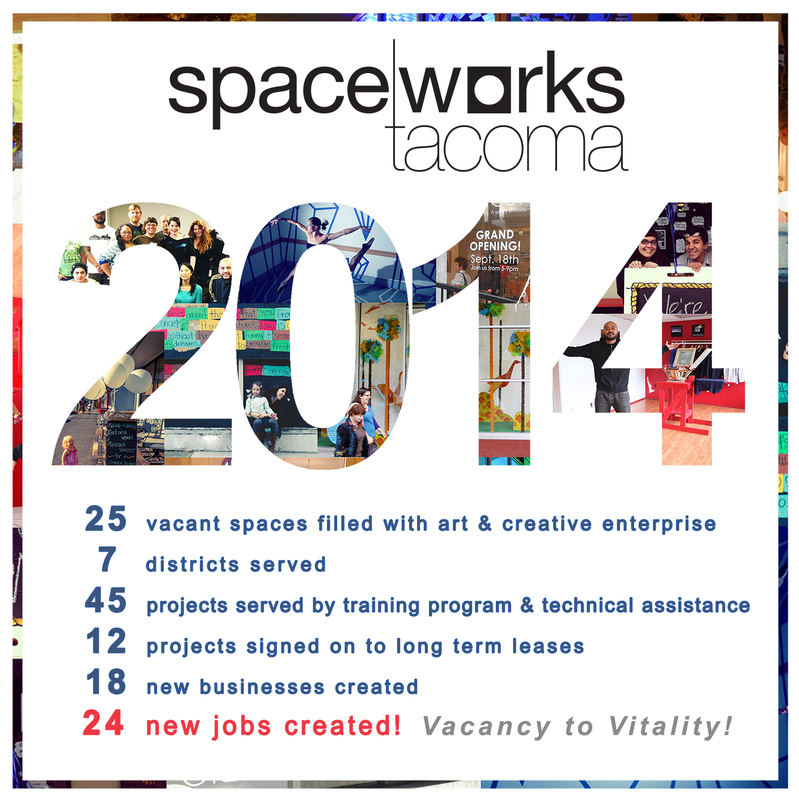 So many new businesses… so many art projects… so many events… 2014 was Spaceworks’ busiest year to date! We assisted a small legion of talented folks in bringing their visions to life, and it has been a truly beautiful year. These numbers reflect the blood, sweat and tears put in by our amazing participants, their friends & families, the generous property owners, the Spaceworks staff, our steering committee, the Tacoma-Pierce County Chamber, the City of Tacoma, and all of our funders! Stay tuned for tomorrow’s blog… 2014 in Photos!